Monica is a wonderful , patient, knowledgeable , 17 year experienced instructor at American Ballroom Dance Center. She is very admired by her students who enjoy her training and dance expertise. Natalie and I are very proud of her accomplishments both here at the studio as well as her recent accomplishment of passing the Connecticut Bar to become an Attorney. We wish her well for continued success. Emerald is a lovely , talented , patient, knowledgeable dance educator who has been with us at American Ballroom Dance Center for 12 years. She additionally is an accomplished Hair Stylist in a North Hampton salon. Natalie and are very proud of all she has accomplished and wish her well for continued success. "SPECIAL" Check out our "Groupon"
( www.groupon .com ) "search" - " american ballroom dance center dance lessons"
"The Art of the Body Language of Dance"
We speak & communicate with our bodies. With words,we learned the alphabet & eventually how words were formulated,then spoken, heard or written. The appearance of those formulations are what we have learned to understand in order to read a book. When someone speaks, hopefully someone is listening & understanding what the formulation of letters sounds like. If both partners learn the "Alphabet of Dance", the man will indicate through his body or arms, what the letters of dance he is speaking represent. The lady in turn should be able to respond lightly, if in fact she knows the language of dance well enough to understand what the signals feel like. If she has not learned well, he may become physical or she may decide to lead. This is lethal !!! Proper floor craft on a crowded dance floor can only have one driver & one passenger. Usually the lady is going backwards. when ladies do lead the man, it is because he has not learned properly. I guess the bottom line is: "if you both want to have Fun on any dance floor, feel confident & safe, have some style in your dancing & really experience the "True Joy of the Art of Dance" you need to learn it from well trained, very experienced educators, who can develop your dances correctly so you can use them anywhere, in any setting for the rest of your lives." "AMERICAN BALLROOM DANCE CENTER" provides all of this & more. Life is too short. Get educated about dance for a few months and enjoy it forever !!! Have you learned to Dance yet? helping you to overcome the normal self-conscious fear and apprehension of dancing around other people. i.e. Weddings, Holiday Parties, Clubs, and/or Private Parties. The repeat application at these sessions is the main way to help remember the steps, and particularly, how to use them socially. Muscle memory develops more quickly in a Supervised Practice Session/Party, with teachers helping you recall the steps you have been taught in other sessions. They now become yours "For Life". It works very successfully and we are still teaching after 46 years (36 years in this location) of "good, credible, honest teaching. Why not give it a try? "Your Feet are in Good Hands"!!!! 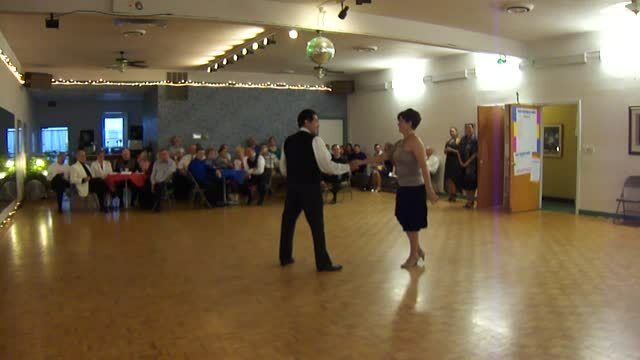 The folks at American Ballroom Dance Center have taught at this location for 36 years under a franchise. We are now Independent. We teach Social, Ballroom and Competition dancing. Social dancing at wedding receptions, holiday parties and clubs has been our main focus since that is what most people really want. Why is it so necessary to call the studio at this time? (1) Everyone starts with different interests and abilities. (3) All people feel music differently also. (4) Everyone responds to learning steps differently. (5) All of these factors make it necessary for you to experience our "Introductory Special" -learn some basics and give both you and I the opportunity to logically and more intelligently discuss what it takes to accomplish your particular goals based on what we both have experienced by the 4th lesson of the "Special". (6) There is no obligation to continue, but we at least will not be guessing at what it takes to learn and teach your goals. (7) This is what makes us the Professional we are and to succeed at what we do.